Nell Muldoon lives in Brooklyn (across the street from The Bandshell) with her husband Chris and French bulldog Margaux. She is originally from the Philly area, but has lived in Brooklyn for 19 years. She loves music, going to concerts in the outdoors, cooking and discovering new recipes, calligraphy and anything paper-related, and karaoke (she does a mean version of Nancy Sinatra’s These Boots are Made for Walkin’!). As Chair of the BRIC Celebrate Brooklyn! Festival Friends Council, Nell leads a 15-group council who serve as the community ambassadors for the Festival. The Friends Council also works to seek out new individuals and business members, make suggestions on ways to make the festival even greater, and help promote BRIC’s mission of keeping the arts accessible to all. 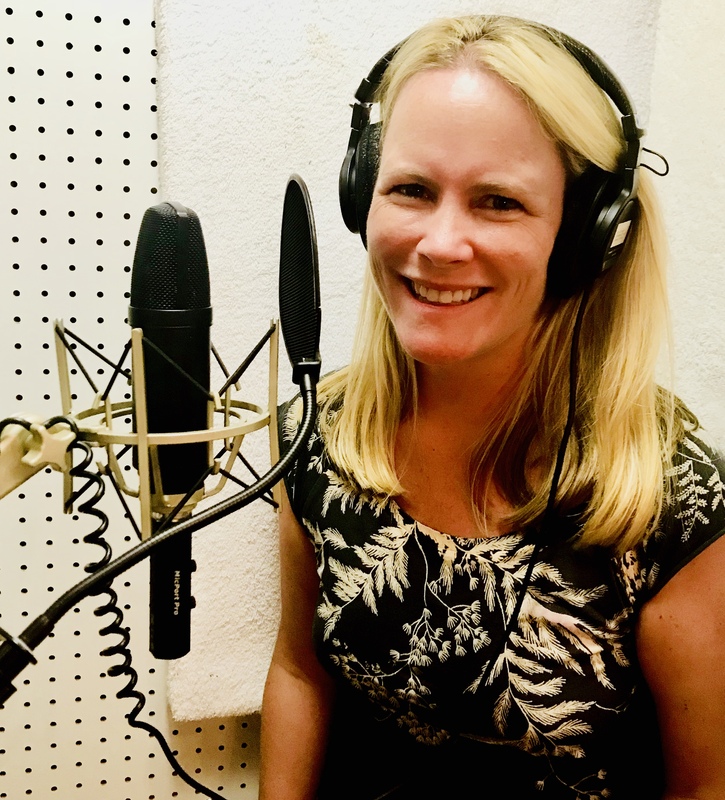 As a small business owner herself with Nell Muldoon Voice Over, Nell led the charge to host a special night just for small businesses at The Bandshell this year, for the first time ever. Over 40 small businesses attended and were given the chance to network, enjoy food and drinks, and sit front row for the amazing local band, Antibalas! Why was it important to you and the Friends Council to host a night for small businesses at the Festival? The small businesses of Park Slope are the backbone of our community. It is these businesses that make our neighborhood as desirable as it is. At the small business event at The Bandshell, it was exciting to see new faces of the community meeting, interacting, and networking with each other. We had a variety of over 80 representatives from local businesses in attendance including restaurants, spas, bookstores, interior design firms, law offices, and flower shops for a fun night of food, drinks, and Brooklyn’s Afro-beat band, Antibalas. It is so important that small businesses and the BRIC Celebrate Brooklyn! Festival have a synergistic relationship and continue to support one another, which is what I saw occurring the night of the event. What inspired you to start your own business and how did you get the idea to go into voiceover work? I worked in television for 16 years at AMC Networks. Although I loved my job, I worked in Operations and Project Management, which appealed to the organizational part of my brain. But the creative side kept saying, “what about me?” I sing and love the art of storytelling, so I enrolled in a voice over program. I fell in love with it and launched Nell Muldoon Voice Over last fall. I have done voice overs for commercials, radio spots, a narration project for a middle school science curriculum, podcasts, and promos. How does the Festival impact the community and Brooklyn? How and why should small businesses be a part of this? The whole borough looks forward to these 10 weeks every summer, jam packed with incredible performing arts. The fact that these world class, culturally diverse shows are FREE is so crucial because the arts are not a privilege, they are a right. This Festival makes a large impact on our community, which local businesses are a large part of. Whether it’s business owners that gain new customers from the large crowds at the shows, or businesses giving their employees access to attend the Festival, people of all ages, backgrounds, and mindsets can come out and enjoy a performance together and know that their business is being supported and their employees are part of the community. How long have you been coming to the Festival? Can you remember the first show you saw? I have been coming to the Festival ever since I moved to New York in 1999. It was love at first sight! Early on I remember seeing Soulive, Dr. John, and Allen Toussaint. It rocks my world that something as fabulous as this exists (for free!) in our beautiful backyard of Prospect Park. What are three words you would use to describe the Festival? Cultural, community, accessible, and to add a fourth word, FUN! What have been your favorite shows to date? Definitely Sharon Jones! She closed the season in 2010 and opened in 2016. She was a very special performer, and you could tell she loved playing at The Bandshell. She is sorely missed. Other memorable shows include Dr. Dog, Grace Potter, Willie Nelson, Laura Marling, Amadou and Mariam, Vieux Farka Toure, and AfroCubism. I love going to a show of someone I’ve never heard of and experiencing something new. Which artists would you like to see perform at The Bandshell in the future? I love the bluegrass / folk / Americana shows, and would love to see Chatham County Line, Gillian Welch, Greensky Bluegrass, Shawn Colvin, or the Indigo Girls! How can people get in touch with you to experience your voiceover work? You can check out my website at www.nellmuldoon.com or reach out to me via e-mail, nell@nellmuldoon.com. Nell was also featured in an episode of Brooklyn, USA produced by our podcast network, BRIC Radio. Listen below!